This July, the Christmas Farm Inn & Spa went viral when Country Living Magazine wrote a post about us on their Facebook page. This article was quickly replicated and shared by many other popular sites including Delish, WMUR, House Beautiful and many more. A follow-up video by Country Living Magazine of the Christmas Farm resulted in over 7 million views! This exposure on a national level brought many newcomers to our door and phone lines and almost crashed our website! As much as all of us up here love snow (even those years we get 6 feet!) we do have all 4 seasons. Come up June-August and get some beautiful 80-degree weather and relax in the pool. September & October? The White Mountains are famous for their autumn colors. December – March we have some of the best ski areas minutes away from the Inn. So no, we do not have snow 12 months a year, but no matter when you come there is plenty to enjoy… and Yes, you can drive your car here, no need to take a Sleigh or toboggan! 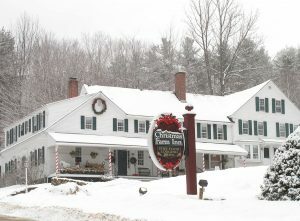 We are the Christmas Farm Inn & Spa, that is true, but we do not ‘deck the halls’ all year round. We are more about the ‘Christmas Spirit’ than the decorations. 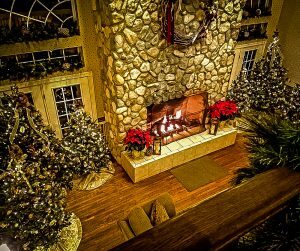 We do have nuances around the property all year round. Just look at some of our room names (Mr & Mrs. Claus is a popular one)! However, should you come Thanksgiving–January, you will see some of, in our opinion, the best Christmas decorations around, and may even find a couple of the staff members in their best Christmas Elf knickers! This is such a loaded question that most times we struggle to get everything in! Right on our property, we have a Restaurant and Spa open every day for our guests to enjoy. We have Mt. Washington (tallest mountain in the NE) 15 minutes up Route 16. Endless beautiful hikes for all abilities, waterfalls, horseback riding, and tax-free shopping. Jackson Falls is a 5-minute walk from our property, along with Beaver Pond. In the winter, you can Cross Country ski from right behind our Log Cabin. Golfing, shopping, scenic drives, amusement parks, and train rides! 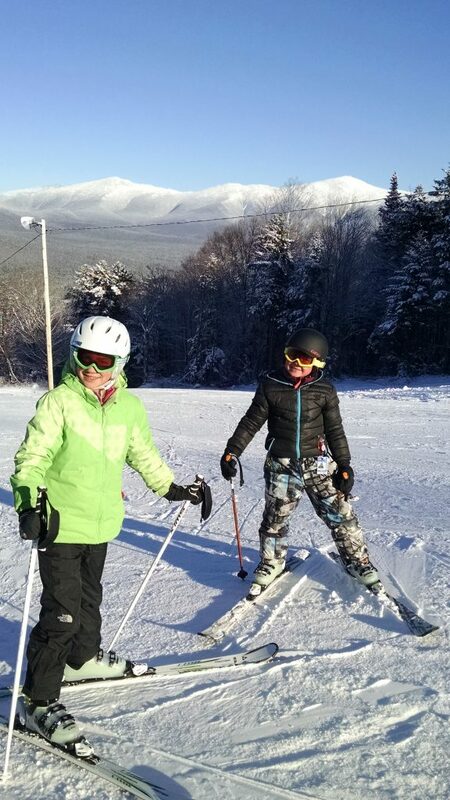 Pretty much anything you could want to do; the White Mountains have it. So if you have not come to visit us yet, please do! And let us know if you have any questions of your own. Your curiosity is a great thing! We’ll answer all your questions, no matter how quirky! Honestly, we love hearing from you all!